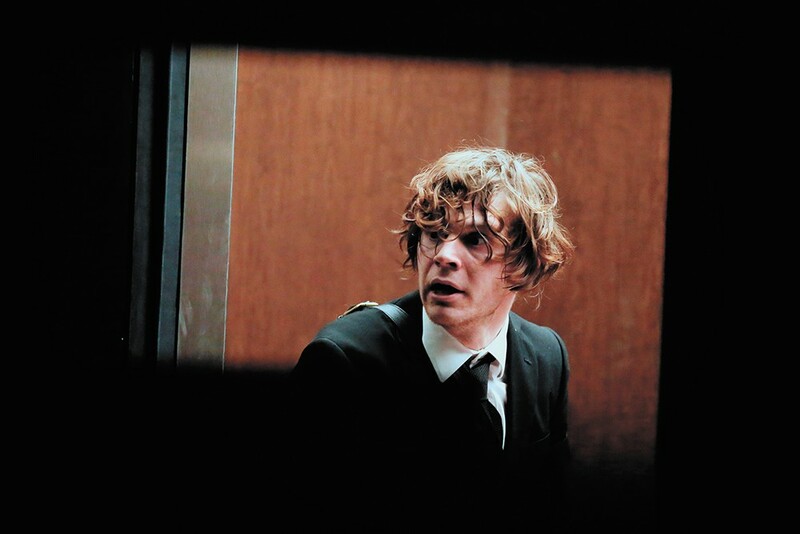 Evan Peters in American Animals. The lines between fact and fiction don't so much blur as entirely cease to exist in Bart Layton's equally entertaining and confounding documentary-narrative hybrid American Animals. Layton's first feature, 2012's The Imposter, similarly explored the slippery space between truth and lies, but it was more clearly a documentary, despite its ethereal, haunting cinematic style and frequent use of re-enactments. The dramatic scenes in Animals are far too extensive to qualify as mere re-enactments, but at the same time they still exist to bolster the accounts of the movie's real-life subjects. Like The Imposter, Animals takes on an absurd true-crime story that just gets more outrageous as it goes along. In 2004, four college students conspired to steal a number of highly valuable rare books from the library at Transylvania University in Lexington, Kentucky, spending months devising an elaborate heist plan that fell apart almost immediately as it was put into motion. Layton interviews all four real-life thieves, along with some of their family members and teachers, and he also dramatizes the events surrounding the heist in the same style as the slick crime movies that the perpetrators themselves idolized. The plan originates with a casual conversation between childhood friends Spencer Reinhard (played by Barry Keoghan) and Warren Lipka (Evan Peters), both of whom are feeling disillusioned with the college experience during their respective freshman years. Spencer is studying art at Transylvania, where he comes across the rare books during an introductory library tour. Warren is nearby at the University of Kentucky on an athletic scholarship that he's in the process of squandering, and both seem more interested in smoking pot and pondering the emptiness of their lives than in studying or attending class. As the real Reinhard and Lipka recount the events that led them to embark on such an ill-fated criminal enterprise, Layton plays with the notion of truth and memory, dramatizing scenes in slightly different ways depending on how each subject remembers them. It's a clever way to keep the audience on its toes, to question who exactly is responsible for the actions that landed the two men and their eventual two additional accomplices in prison. Layton even has Reinhard and Lipka interact with Keoghan and Peters during a handful of crucial turning points in the story. That cleverness can be as distracting as it is illuminating, though, and once Spencer and Warren recruit fellow U.K. students Eric Borsuk (Jared Abrahamson) and Chas Allen (Blake Jenner) to help with the plan, the narrative becomes a bit more streamlined, even as Layton continues inserting documentary interview material. The nature of truth takes a backseat to the suspense of pulling off a heist, and Layton manages to generate considerable tension as events spiral out of control, even for viewers who know how the story is going to turn out. There are fake-outs and contradictions within the narrative, too, especially during a stereotypical heist-movie sequence that shows the robbery playing out in perfect clockwork precision as Warren describes the detailed plan in voiceover — only for the other characters to shoot down his ideas as completely infeasible. None of the impressive cinematic flourishes quite get to the heart of why these privileged, comfortable middle-class college students decided to risk their entire futures on a far-fetched plan right out of the movies, though, despite some of the interview segments addressing that question head-on. The original print version of this article was headlined "Stranger Than Fiction"
American Animals is not showing in any theaters in the area.